Is this the same practice as Dr. Jeffrey Kleinman & Associates? Yes! We are the same practice that was formerly known as Dr. Jeffrey Kleinman & Associates. EYE PEOPLE features the same high quality eye care and designer eyewear that our patients expect. After 40+ years in the industry Dr. Kleinman has retired and has entrusted the care of his former patients to Dr. Khem, a University California, Berkeley and University of Texas at Austin graduate who is highly qualified and passionate about providing excellent eye care to the community. Do you still have all of my records on file from Dr. Kleinman? Yes! We still have all of Dr. Kleinman’s patient charts on file. Do keep in mind that charts from 7 sevens and beyond will be purged. We have all former patient’s charts as the practice is the same but we have a new name and exciting changes planned. We welcome new and former patients to stop by! Are you formerly the Vision Center at The Shops of Montebello? Yes! 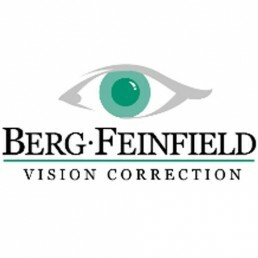 We are the same practice that was formerly known as Dr. Jeffrey Kleinman & Associates and the Vision Center at The Shops of Montebello. EYE PEOPLE features the same high quality eye care and designer eyewear that our patients expect. After 40+ years in the industry, Dr. Kleinman has retired and has entrusted the care of his former patients to Dr. Khem, a University California, Berkeley and University of Texas at Austin graduate who is highly qualified and passionate about providing excellent eye care to the community. Due to the specialized and custom nature of eyewear, there are no returns or exchanges for any purchased eyewear and eyecare products (including but not limited to lenses, frames, sunglasses, contacts, sprays, cloths, etc). If there is a change in prescription after receiving the new lenses, the lenses can be redone one-time at no charge within 90 days. All of our frames and lenses have a one-year warranty for any manufacturer defects from the date of purchase, which does not include accidental damage or normal wear and tear. Think of it as ordering something custom made to your specifications such as a tailored outfit or Invisalign braces, unfortunately they cannot be used or resold to anyone else after being customized for you which is why we can’t return or exchange your glasses which are medical devices. It is recommended that everyone receive a routine eye examination yearly. To schedule an appointment, you may reach us at: (323) 720-1600. You can bring your habitual pair of glasses, contact lens boxes or your most recent prescriptions for glasses or contact lenses. All of these would be helpful for your doctor but are not required for your exam. You can request for dilation ahead of time or your doctor may recommend it. We also offer routine Optos® Optomap Retinal Exam that requires no eyedrops and provides your doctor with a detailed retinal image for he or she to review with you. It is a very common condition where the front of curvature of the eye is shaped more like a “spoon” instead of a perfect sphere like a globe, causing light to not be able to focus properly on the eye. Uncorrected astigmatism may make your vision not as sharp, crisp and can cause glare or halos and induce eye strain. It is not a disease and can simply be corrected with glasses, toric contact lenses or refractive surgery (i.e. LASIK). It is a condition where the eye’s natural lens inside the eye is cloudy akin to looking through a dirty windshield depending on severity. The only way to get rid of cataracts is to perform cataract surgery where the eye’s natural lens is removed and replaced with an artificial lens. Glaucoma is the second-leading cause of blindness in the U.S. (behind macular degeneration), and the second-leading cause of blindness worldwide (behind cataracts). Glaucoma is a group of related eye disorders that cause damage to the optic nerve that carries information from the eye to the brain. It first causes peripheral vision loss and can eventually lead to blindness. The most common type of glaucoma affects an estimated 2.2 million people in the United States. Since most cases of glaucoma have few or no early symptoms, about half of Americans with glaucoma don’t know they have it. Your vision can still be perfect at 20/20 and still have glaucoma. Thus, it is important that even if you don’t need glasses and are seeing well, that you still receive a routine eye exam annually to check for ocular diseases that can happen without any signs or symptoms. My eye is red, do I have an eye infection? It is very important that if you suspect that you may have an eye infection that you be properly evaluated by an eye doctor. Common symptoms of an eye infection include redness, irritation, watering, discharge, blurred vision, itching and light sensitivity. If at any point you think you have an eye infection or are having eye pain, immediately seek medical care with your eye doctor. For urgent eye visits during business hours, you may reach us at: (323) 720-1600. Does my child need to be dilated? We recommend a dilation on every child who is having their first eye exam. Not only will a dilation will allow your eye doctor to review the entire health of the eye but also allow your doctor to see the true prescription of your child to be able to detect any risk or development of amblyopia (lazy eye). My child doesn't know his letters yet, can he or she still have an eye exam? Absolutely! We are still able to assess your child’s vision, prescription and eye health without the need of literacy. My child passed the school screening and the eye test at the pediatrician's office, does my child still need an eye exam? Yes! It is especially important for children to have a comprehensive eye examination by an optometrist or ophthalmologist to fully evaluate your child’s vision and eye health. Most eye tests at schools and pediatrician offices test only your child’s visual acuity (a measurement of what they are seeing). A comprehensive eye examination by your eye doctor will involve an assessment of binocular vision, accommodation, refractive status and ocular health. We are able to do single vision plastic, polycarbonate, and polycarbonate with anti-reflective coating on private pay, VSP and Eyemed glasses orders in one hour or the same day provided that we have your prescription in stock. We stock hundreds of prescriptions on hand if we don’t have it in stock, we can order it with one-day shipping. If you order premium lens options such as blue-light anti-reflective coating, transitions, anti-fatigue lenses or progressive lenses, those may need to be sent out to the lab for processing. Turn around times for processing from the lab may take about 2 weeks. Do keep in mind that some vision insurances require us to send your order to their own contracted labs for processing. In this event, it is safe to say that glasses may take about 2 weeks to arrive. We truly try our best to get you your glasses in a timely fashion! Can I return or exchange my glasses? If there is a change in prescription after receiving the new lenses, the lenses can be redone one-time at no charge within 90 days. All of our frames and lenses have a one-year warranty for any manufacturer defects from the date of purchase, which does not include accidental damage or normal wear and tear. What brand of lenses do you use for your progressives and specialty lenses? 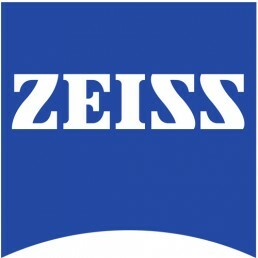 We are proud to offer customized premium freeform lenses and coatings by ZEISS and UNITY. UNITY digital lenses deliver the best vision experience possible. They also use the latest in optics design engineering, to offer completely customized, tailored lenses for your unique visual needs. Performance rankings from surveys of eye care professionals show that UNITY Via progressives are superior to their counterparts from other brands in that 2/3 have said that they recommend UNITY Via to their patients and that there is over a 60% satisfaction rate with their patients who are prescribed UNITY Via. What is the difference between progressives and transition lenses? Progressive lenses are “no-line” multifocal lenses that have a seamless progression of magnifying power for intermediate and near vision. This is progression of power is usually from distance at the top and progressing downward to intermediate (computer) to near (reading) power. Transitions are clear lenses that darken when exposed to UV rays. Do transitions darken in the car? Typical transition (photochromic) lenses will not darken inside a vehicle because the windshield blocks most UV rays. However, we do offer something called UNITY Sunsync Drive XT that can darken slightly in the car and lightens quicker than Transitions. Anti-reflective coating will reduce glare, lens reflections, eye strain, create sharper vision at night and cosmetically make lenses nearly invisible so that others see your eyes and not your lenses. We recommend anti-reflective coating on all glasses. A good pair of glasses should have an AR coating to maximize the best benefit from your lenses. What is bluelight blocking anti-reflective coating? We use Zeiss’ BlueProtect and UNITY Techshield Blue anti-reflective coating which strongly filters blue light emitted by our digital screens (computers, tablets, phones, TVs, etc.). By reducing the eye’s exposure to this type of blue light, this helps prevent retinal cell damage and phototoxicity. 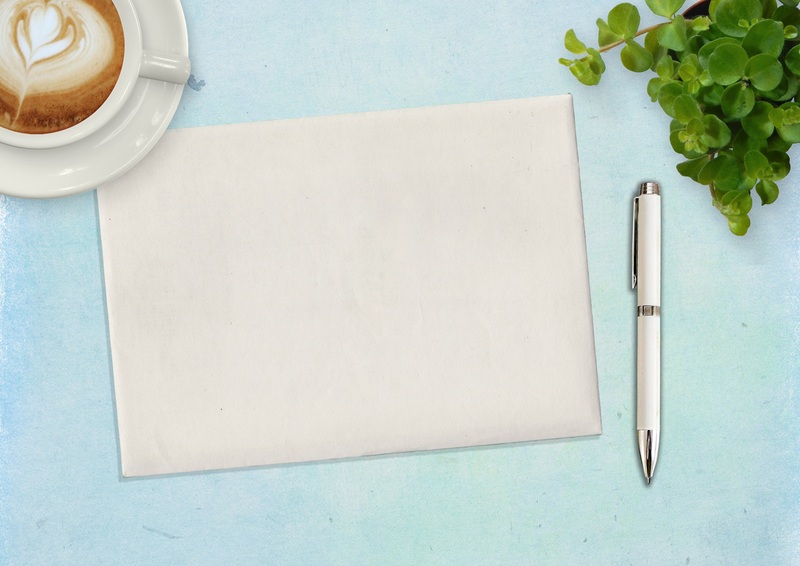 Why is blue-violet light blocking anti-reflective coating important? Too much blue light can disrupt sleep. Viewing digital devices at night can disrupt the brain’s production of melatonin, causing sleep disturbances and a dysfunction of the natural circadian rhythm. Increased risk of macular degeneration. Blue light regulates the circadian rhythm to ensure alertness in daytime and restful sleep at night. Too much blue light from artificial lights at night can interfere with sleep. ZEISS DuraVision BlueProtect and UNITY Techshield Blue filters the undesirable wavelengths emitted from artificial lights between 440nm and 465nm, while allowing the beneficial blue light through. Why is there a separate contact lens fitting fee? A contact lens fitting is an entirely separate portion of the exam aside from your basic comprehensive eye exam. You can add this onto your basic exam fee. Each contact lens fitting fee will vary depending on the complexity of the fit and type of lenses used. This fitting fee will include the contact lens exam, finding the proper contact lens parameters tailored to your eyes, assessment of the ocular surface, trial lenses and all subsequent contact lens follow up visits until the contact lens prescription is finalized. Why are the numbers on my contact lens prescription different from my glasses prescription? Various number of reasons. One typical reason is something called vertex distance. When a prescription over a certain power, we need to account for the distance from the glasses to your eye. For example, for someone with a -5.00 DS glasses prescription, his or her contact lens prescription will generally be lower at -4.75 DS because the contacts sit directly onto the surface of the eye. Bottom line is that you will be getting roughly the same power even if the numbers seem different. Another common reason can be because of astigmatism correction and whether or not it will be corrected in contacts or not as there are more limited parameters in contact lenses to work with. Can I get just a contact lens fitting without a comprehensive eye exam? In order to provide you with the best vision possible in your contact lenses which means remeasuring your current prescription in our office and to ensure that your eye health is adequate for contact lens wear. Only if they are approved for overnight wear. 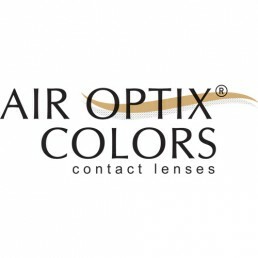 The only contacts that are approved for 30 nights of continuous wear are Air Optix Night & Day. There are also a number of other contact lenses approved for 6 nights of continuous wear. Our eye doctors will discuss with you the most appropriate lens option for your eyes. Can I reuse my daily disposable contact lenses? No. Daily disposable lenses must be discarded at the end of the day and cannot be reused for the next day. We don’t want you developing an eye infection or a reaction underneath the eye lid from overusing daily disposables. That could mean not being able to wear contacts for a period of time so it’s best not to get into that habit. Can I still wear contacts when I need reading glasses? Great news! Yes, you can still wear contacts and there is a variety of options available to you. We will evaluate your prescription, lifestyle and visual demands and and discuss with you what we believe to be the best options for your visual needs. The key to success in multifocal and monovision contact lenses are to have a realistic expectation in which your eye doctor will review with you during your exam. At what age can my child begin wearing contact lenses? Any any age! There is no minimum age requirement for contact lens wear. We will properly teach the parent and/or the child to properly insert, remove and care for their lenses. Can my contact get lost behind my eye? No worries, your contact lens cannot get lost behind your eye because there is a tissue lining that prevents that from happening. Your contact lens can however get stuck in that cul-de-sac like area of the eye. If you are unsure and think you may have a contact stuck in your eye, let your eye care professional properly evaluate your eyes. They will search and remove your contact if it is present with minimal to zero discomfort. Why do I need a prescription for colored contact lenses? All contact lenses, including non-prescription Halloween and special-effects contacts are medical devices regulated by the FDA. They require a valid contact lens prescription from a licensed eye doctor. Can I buy Halloween and colored contact lenses online or in stores? As recommended by the American Optometric Association, do not buy contact lenses from any store or online retailer without a valid prescription. These lenses are being sold illegally and over-the-counter contact lenses put people at risk for potential irreversible vision loss. Numerous cases have been documented as these pose a public safety risk. What brands of colored contacts do you have available? 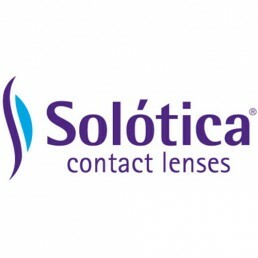 We strive to provide our patients access to the most comprehensive array of cosmetic contact lenses. 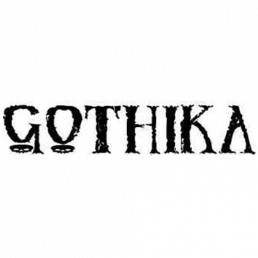 Colored contact brands we carry include: Air Optix Colors (previously Freshlook Colorblends), Desio, Solotica and numerous theatrical Halloween lens options. 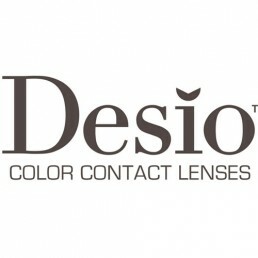 We are proud to be the first and only office on the west coast to fit Desio colored lenses. LASIK is a refractive surgery procedure that uses lasers to change the shape of your cornea to eliminate the need for glasses or contacts. Our doctors are happy to evaluate your candidacy and answer any questions that you may have. We want to ensure that you are comfortable with the surgeons we work with, the facility, finances and have a clean bill of eye health prior to your procedure. Feel free to schedule a LASIK consultation with us! After getting LASIK, I won't need ever need glasses correct? Not entirely true, if you got LASIK to correct your distance vision, you will still need reading glasses after age 40 due to a condition called presbyopia that affects everyone regardless if you get LASIK, use glasses or contacts, or wear no correction at all. There are options to get monovision (one eye corrected for distance and the other eye for reading) which allows patients to be able to see distance and near without the use of reading glasses. When can I get LASIK? You can get LASIK at any age provided that your prescription is stable for 2 years in a row (no more than 0.50D change in prescription). Which LASIK surgeons do you work with? 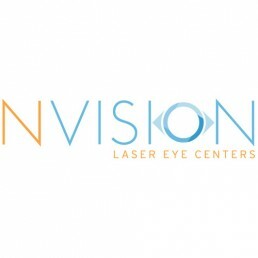 As a commitment to our patients, we will only recommend doctors who meet our high standards and who we would personally go to.We work exclusively with a select few reputable LASIK surgeons handpicked by our doctors. Although, not local, they are still within the Los Angeles metropolitan area spanning from Beverly Hills, Burbank, Fullerton and Westwood. We believe that this is a win-win situation for our patients since our patients can get their LASIK done by the best surgeons in America yet have the convenience of having post-operative follow-up appointments done in our office. Does my vision insurance cover LASIK? Most vision insurances typically do not cover refractive surgery procedures such as LASIK. However, occasionally some may cover a portion or offer a discount on LASIK. LASIK offices will also offer financing solutions and accept FSAs and Care Credit. LASIK for both eyes typically range from about $4800 to $5400 after an optometrist referral discount. We have secured significantly lowered rates for our patients with our LASIK surgeons that we work with. This translates to upwards of $1000 subtracted from the total LASIK fee. Many offices will offer financing solutions and accept FSAs and Care Credit. The LASIK surgeons you work with are too far for me, what are some alternatives? As a commitment to our patients, we will only recommend doctors who meet our high standards and who we would personally go to. We work exclusively with a select few reputable LASIK surgeons handpicked by our doctors. Although, not local, they are still within the Los Angeles metropolitan area spanning from Beverly Hills, Burbank, Fullerton and Westwood. Although, not too much of an inconvenience because our patients will typically only travel twice: 1) for the consultation and 2) for the procedure and we will provide all of the pre-operative and post-operative care here in our office. We believe that this is a win-win situation for our patients since our patients can get their LASIK done by the best surgeons in the US yet have the convenience of having post-operative follow-up appointments done locally. 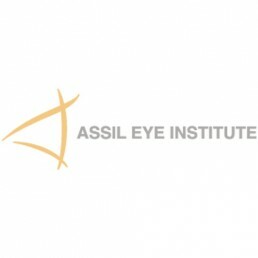 I've always been told that I can't get LASIK with my prescription, any thoughts? Great news! LASIK technology has advanced greatly in the last few years and prescription parameters have expanded. What may have not been feasible in the past may now be feasible with modern technology. It may be worthwhile to obtain a consultation to see if you are a good candidate. What vision insurances do you accept? VSP (Vision Service Plan), Eyemed, Spectera, Superior Vision, MES (Medical Eye Services) and VBA (Vision Benefits of America). We also accept United Foods & Commercial Workers Unions and Food Employers Benefit Fund Local 1199. Can I use my vision insurance for both glasses and contacts? Most vision insurances will typically cover only one or the other (either frames & lenses or contact lens fit & contact lens boxes) but some plans do allow coverage for both. Please check with your vision insurance to check for coverage. We will soon accept Medi-Cal vision plans distributed through VSP. Medi-Cal vision plans will typically cover a routine eye exam every two years and no contact lens benefits. Glasses benefits are only available to children 18 and under. 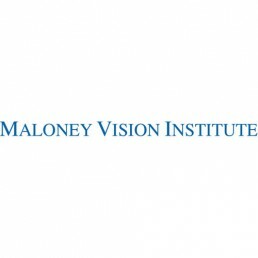 I don't have vision insurance but I would like to obtain one, what do you recommend I get? We recommend VSP (Vision Service Plan) as they offer affordable individual and family vision insurance with reasonable coverage and benefits. Yes! We do accept Care Credit.